The Citroën C1 is a city car produced by the French manufacturer Citroën since June 2005. 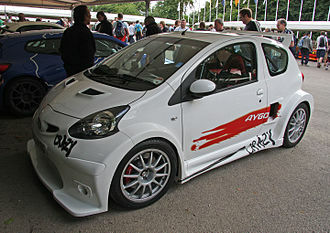 The C1 was developed as part of the B-Zero project by PSA Peugeot Citroën, in a joint venture with Toyota. 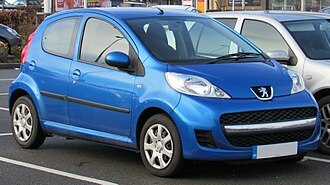 The Peugeot 107 is identical to the C1, other than the front bumper and front and rear lights, while the Toyota Aygo is slightly more differentiated, but still obviously similar like its Asian made facelifted Yaris hatchback and sedan and facelifted third generation Vios. All of them are built at the new facilities of the TPCA joint venture (Toyota Peugeot Citroën Automobile) in the city of Kolín, Czech Republic. The project was presented for the first time at the 2005 Geneva Motor Show. The cars are four seater, three door or five door hatchbacks measuring 3.40 metres (133.9 in) in length. The body was designed by Donato Coco. 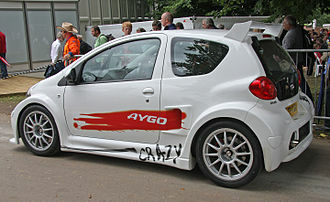 A notable feature of the five door C1 and 107, though not the Aygo, is the large tail light cluster, which extends from the edge of the rear doors to the rear window, meaning there is no external metal "C-pillar". The C1 is powered by a 1.0 L three cylinder engine, which has a fuel economy of 61.4 mpg (UK gallons EU method; 4.6 L/100 km EU method; ca 43.4 mpg US with US method). 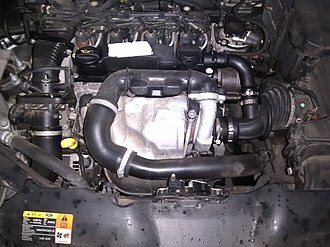 A 1.4 L four cylinder HDI diesel engine which has a fuel economy of 68.9 mpg (UK gallons EU method; 4.1 L/100 km EU method; ca 48.8 mpg US with US method) is also available. According to the German magazine Der Spiegel, the C1 is the production car with the second-best fuel economy both among petrol engines (after the Toyota Prius) and among diesel engines (after the Smart ForTwo). In January 2010, PSA Peugeot Citroën announced that it is recalling "under 100,000 units" of the C1 and the Peugeot 107, following the worldwide recall by Toyota for a faulty sticking accelerator pedal – in which the Aygo is affected. Under certain circumstances, the pedal can stick in a partially depressed position, or return slowly to the off position. 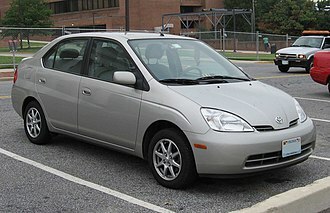 The Vibe, three door or five door, this was the basic model and the cheapest. Only available with the 1.0i engine. The Rhythm, three door or five door, this trim added remote central locking, colour coded wing mirrors, two side airbags and an engine rev counter. The 1.4 HDi diesel and the 1.0i petrol engines were both available with this trim. The Code, available in both three or five door and with the 1.4 HDi engine, added to the Rhythm specification by including 14 inch alloy wheels, half leather trimmed seats, chrome interior trim inserts and glove box cover. The Cool – based on the Vibe, adding Air Conditioning and blue seat fabrics/dashboard inserts, available in Lipizan White or Damas Blue. The Airplay – based on the Rhythm, adding full iPod connectivity, iPod cradle, a 4 GB iPod Nano and coloured dashboard inserts and door pulls. Early models were available with bright, swirling decals. This model was originally revealed at the 2006 British International Motor Show in July 2006. Designer Franco Sbarro created an extreme C1, called the C1 GT, a design concept that follows the same theme of his previous Xsara Picasso Concept. The extreme bodywork feature very wide wheels and gullwing doors, alongside a modified 1.6L 125 PS (92 kW; 123 hp) engine from the C2VTR and C4 WRC rallycar brakes. It's said to have reached over 130 mph (210 km/h). In Portugal, a commercial van version called the Entreprise is offered, equipped with the 1.4L diesel engine and available only in the three door body, for urban use. It's 107 sibling also offers an identical version. In the United Kingdom, the Electric Car Corporation has been selling an electric car based on the C1, called the Citroën C1 ev'ie since 30 April 2009. Its list price on that date was £16,850 (US$$24,989), "double the cost of the petrol version". In January 2009, the Citroën C1 was facelifted at the same time as the Peugeot 107 and Toyota Aygo. The new C1 features a new front bumper incorporating a new grille, in keeping with Citroën's family look. Trim levels were also refreshed – basic Vibe models became 'VT', and Rhythm became 'VTR'. Seat fabrics and ventilation controls were also changed, and all models received colour coded front bumpers and new wheel trims. A special edition "Splash" was available at launch, though this was a strictly limited edition. This was based on the basic "VT". However, it featured Air Conditioning, CD player, electric front windows. The Splash model was available in Electra Blue or Lipizan White. Electra Blue came with white door mirrors, whilst the Lipizan White came with glossy black door mirrors. 2 and reportedly able to achieve 72 mpg‑imp (3.9 L/100 km; 60 mpg‑US) fuel consumption. The 1.4 HDi diesel engine remains unchanged, again only available in the higher specification. Three new colours were also added to the line up. Two new trims were added to the facelift C1 range – Platinum and Edition, both coming with alloy wheels, leather steering wheel and gearstick as standard. VTR+ became the entry level when these were introduced. Breakdown statistics reported by the German Automobile Club in May 2010 placed the Citroën C1 (which the data grouped with the Peugeot 107 and Toyota Aygo) at the top of the sub small car class, in respect of the low breakdown rates achieved for cars aged between one and four years. Class laggards were the Chevrolet Matiz (0–3 year old cars) and the Smart Fortwo (4–5 year old cars). The Euro NCAP score was reduced from 4 stars to 3 stars for the facelift of 2012. At the 2014 Geneva Motor Show, Citroën revealed the new look, completely redesigned version of the C1, which is built at a factory of the Toyota Peugeot Citroën Automobile Czech (TPCA) in a joint venture between the Peugeot 108 and Toyota Aygo. 2011 88,669 87,673 Total production reached 639,760 units. 2012 65,800 66,700 Total production reached 705,600 units. 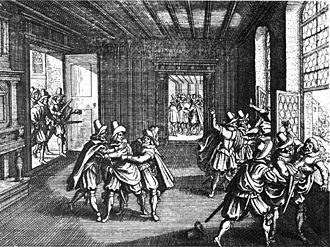 ^ "Die sparsamsten Benziner (German)". Der Spiegel. 2007-02-06. Retrieved 2008-11-28. ^ "Die sparsamsten Diesel (German)". Der Spiegel. 2007-02-06. Retrieved 2008-11-28. ^ "Peugeot follows Toyota in Car Recall". BBC News. 2010-01-30. Retrieved 2011-06-02. 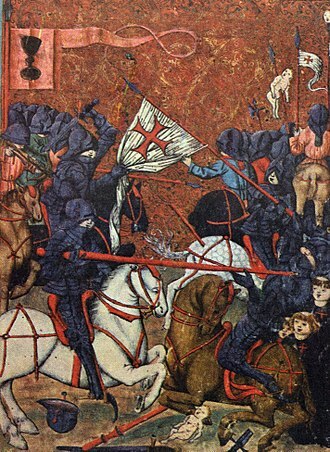 ^ a b Rudschies, Wolfgang; Dieckmann, Hendrik; Kroher, Thomas (2010). Ramstetter, Michael, ed. "Die ADAC Pannenstatistik 2009". ADAC Motorwelt (May): 26–27. ^ "Euro NCAP results for Citroën C1 1.0 5 door LHD hatchback". euroncap.com. 2005. ^ a b c d "PSA Peugeot Citroën 2010 Registration Document" (PDF). PSA Peugeot Citroën. 2011-04-22. Retrieved 2012-11-29. ^ a b "PSA Group Annual Report 2014". 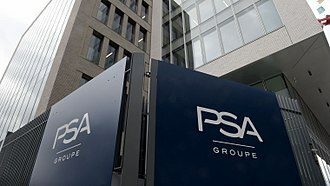 PSA Peugeot Citroën. 20 February 2015. Retrieved 22 December 2016. ^ a b c d "PSA Group Annual Report 2015". PSA Peugeot Citroën. 24 February 2016. Retrieved 22 December 2016. Wikimedia Commons has media related to Citroën C1. 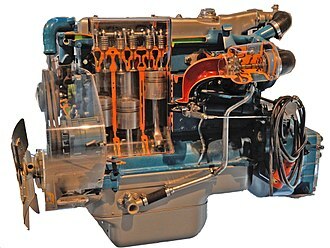 Diesel engines work by compressing only the air. This increases the air temperature inside the cylinder to such a degree that it ignites atomised diesel fuel that is injected into the combustion chamber. This contrasts with spark-ignition engines such as an engine or gas engine. In diesel engines, glow plugs may be used to aid starting in cold weather, or when the engine uses a lower compression-ratio, the original diesel engine operates on the constant pressure cycle of gradual combustion and produces no audible knock. Low-speed diesel engines can have an efficiency that exceeds 50%. 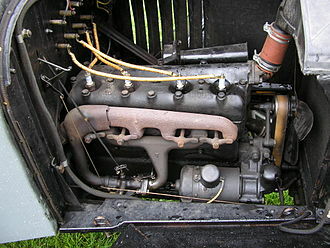 Diesel engines may be designed as either two-stroke or four-stroke cycles and they were originally used as a more efficient replacement for stationary steam engines. Since the 1910s they have used in submarines and ships. Use in locomotives, heavy equipment and electricity generation plants followed later, in the 1930s, they slowly began to be used in a few automobiles. Since the 1970s, the use of engines in larger on-road and off-road vehicles in the US increased. According to the British Society of Motor Manufacturing and Traders, the EU average for diesel cars accounts for 50% of the total sold, including 70% in France and 38% in the UK. The worlds largest diesel engine is currently a Wärtsilä-Sulzer RTA96-C Common Rail marine diesel, the definition of a Diesel engine to many has become an engine that uses compression ignition. To some it may be an engine that uses heavy fuel oil, to others an engine that does not use spark ignition. However the original cycle proposed by Rudolf Diesel in 1892 was a constant temperature cycle which would require higher compression than what is needed for compression ignition. Diesels idea was to compress the air so tightly that the temperature of the air would exceed that of combustion, to make this more clear, let it be assumed that the subsequent combustion shall take place at a temperature of 700°. Then in that case the pressure must be sixty-four atmospheres, or for 800° centigrade the pressure must be ninety atmospheres. An electric car is an automobile that is propelled by one or more electric motors, using electrical energy stored in rechargeable batteries or another energy storage device. Electric motors give electric cars instant torque, creating strong and smooth acceleration and they are around three times as efficient as cars with an internal combustion engine. The first practical electric cars were produced in the 1880s, Electric cars are significantly quieter than conventional internal combustion engine automobiles. They do not emit tailpipe pollutants, giving a reduction of local air pollution. They provide for independence from oil, which in several countries is cause for concern about vulnerability to oil price volatility. Recharging can take a time and in many places there is a patchy recharging infrastructure. For long distance driving, many cars support fast charging that can give around 80% charge in half an hour using public rapid chargers, drivers can sometimes suffer from range anxiety- the fear that the batteries will be depleted before reaching their destination. Cumulative global sales of highway-capable light-duty pure electric vehicles passed the one million milestone in September 2016. About 61% of the stock of 2 million light-duty plug-in electric vehicles by the end of 2016 were pure electric cars. The worlds all-time top selling electric car is the Nissan Leaf, released in December 2010. The Tesla Model S, released in June 2012, ranks second with global sales of over 158,000 units through December 2016, the Model S has been the worlds top selling plug-in car for two years in a row,2015 and 2016. Electric cars are a variety of electric vehicle, the term electric vehicle refers to any vehicle that uses electric motors for propulsion, while electric car generally refers to highway-capable automobiles powered by electricity. Thus, a car that derives its power from an on-board battery pack is a form of battery electric vehicle. 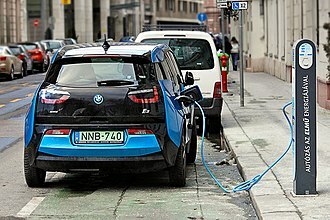 Most often, the electric car is used to refer to battery electric vehicles. Thomas Parker built the first practical production electric car in London in 1884, the Flocken Elektrowagen of 1888 by German inventor Andreas Flocken is regarded as the first real electric car of the world. The Smart Fortwo is a rear-engine, rear-wheel-drive, 2-seater hatchback city car manufactured and marketed by the Smart division of Daimler AG, introduced in 1998, now in its third generation. Marketed in 46 countries worldwide, Fortwo production had surpassed 1.7 million by early 2015, the Fortwo is noted for its 2. Fortwo models are manufactured at Smartville—a dedicated Daimler assembly plant in Hambach, France—in Coupé and Cabrio body styles, generations are internally designated as the W450 build series, introduced at the 1998 Paris Motor Show, and the W451 build series, introduced at the 2006 Bologna Motor Show. Smartville underwent a 200 million euro upgrade beginning in mid-2013 for the third generation Fortwo, with the second generation, Smart introduced a version with automatic start-stop, marketed as the MHD, or Micro-Hybrid Drive—offered only in certain markets. A sport model, marketed as the Brabus model, has been available in both generations, and Daimler introduced the Smart electric drive, a version, in 2007. The Fortwo forms the basis for Daimlers Car2go fleet, the largest car-sharing enterprise worldwide, the brand name Smart derives from its early history as a cooperative venture between Swatch and Mercedes, Swatch Mercedes ART. The Fortwo nameplate derives from its seating capacity. Until 2004, the Fortwo had been marketed as the smart City-Coupé, the 2001 marketing brochure for the W450 build series cites a.37 drag coefficient. The W450 and W451 series each have an area of 1.95 square metres and 2.057 square metres respectively. The first and second generation Fortwo models employ an automated manual transmission and manufactured by Getrag, the first generation used a six-speed version, and the second generation uses a five-speed version, model 5AMT130. 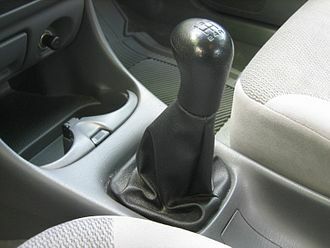 Input from floor-mounted shifter or optional steering-wheel-mounted paddles controls a servo-operated clutch, the vehicle may be driven in automatic mode or via paddle shifters, where the operator controls the shift points but cannot feather or adjust the speed of the clutch. Governments and private organizations have developed car classification schemes that are used for innumerable purposes including regulation and categorization, among others. This article details commonly used classification schemes in use worldwide, vehicles can be categorized in numerous ways. Regulatory agencies may establish a vehicle classification system for determining a tax amount, in the United Kingdom, a vehicle is taxed according to the vehicles construction, weight, type of fuel and emissions, as well as the purpose for which it is used. Other jurisdictions may determine vehicle tax based upon environmental principles, such as the user pays principle, another standard for road vehicles of all types that is used internationally, is ISO 3833-1977. In the United States, since 2010 the Insurance Institute for Highway Safety uses a scheme it has developed that takes into account a combination of both shadow and weight. The United States Federal Highway Administration has developed a scheme used for automatically calculating road use tolls. There are two categories depending on whether the vehicle carries passengers or commodities. Vehicles that carry commodities are further subdivided by number of axles and number of units, the United States Environmental Protection Agency has developed a classification scheme used to compare fuel economy among similar vehicles. Passenger vehicles are classified based on a total interior passenger. Trucks are classified based upon their gross vehicle weight rating, heavy duty vehicles are not included within the EPA scheme. A similar set of classes is used by the Canadian EPA, in Australia, the Federal Chamber of Automotive Industries publishes its own classifications. This is a table listing several different methods of vehicle classification. Straddling the boundary between car and motorbike, these vehicles have engines under 1.0 litre, typically only two passengers, and are sometimes unorthodox in construction. Some microcars are three-wheelers, while the majority have four wheels, microcars were popular in post-war Europe, where their appearance led them to be called Bubble cars. 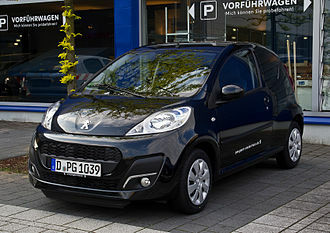 The Peugeot 107 is a city car produced by French automaker Peugeot and launched in June 2005. All three are built at the new facilities of the Toyota Peugeot Citroën Automobile Czech joint-venture in the city of Kolín and it is a four-seater available as a three- or five-door hatchback. 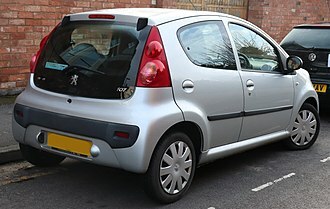 The 107 replaces the 106, which ceased production in July 2003 after 12 years, the rear view of the Peugeot 107 shows the tail light clusters it shares with the Citroën C1, but not with the Toyota Aygo. Under certain circumstances, the pedal can stick in a depressed position. In February 2009, the Peugeot 107 received a facelift to conform with the new looks given to the Citroën C1, the only aesthetic changes made were to the front bumper and wheel trims. The bumper now sports what some refer to as Peugeots large mouth look, the placement of the numberplate has been moved from the black strip in the middle of the grille to underneath the grille itself and two side vents have been added to give the car an updated look. Typical pillar configurations of a sedan (three box) and station wagon (two box) from the same model range. The rear engine and forward cooling system locations in the Smart Fortwo. Consumer complaints, unintended acceleration per 312,000 vehicles sold, 2008 MY. 1KR-DE engine in the Wigo.